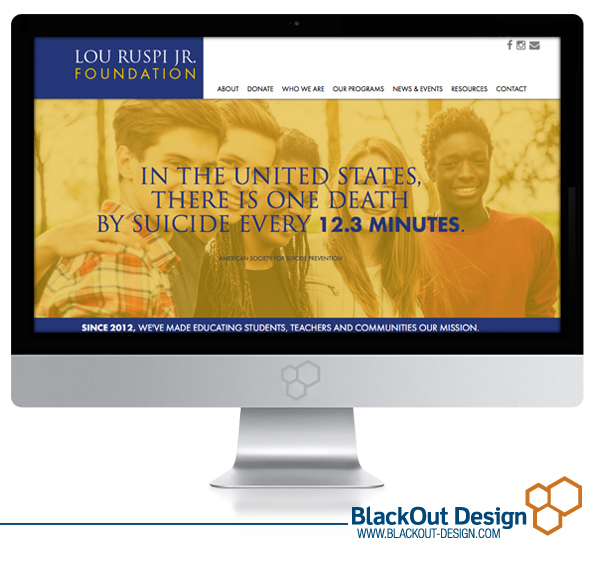 We are proud to announce another completed website for the Lou Ruspi Jr. Foundation. The foundation is a private, non-profit organization whose mission is to bring mental health education and wellness to schools and the community. The new website design provides a platform for the organization to share information on the history and programs the foundation provides along with resources for those living with a mental health condition. In addition, our team ensured the website was responsive so it could be easily viewed and navigated from any device.